BlueHeaven also recorded a show back in 2013. I appreciate the taper sending over the show to Hyunji, who sent this tape to me! It's a very good recording. A few notes is that there is a slight pause between 'Ahead of Ourselves' and 'God Break Down The Door.' As well as between 'I'm Afraid of Americans' and 'Digital.' Only a second or so between each of the songs. But I wouldn't describe this as incomplete. Recorded in 24 bit, so you have the option of downloading it in 24 or 16 bit. 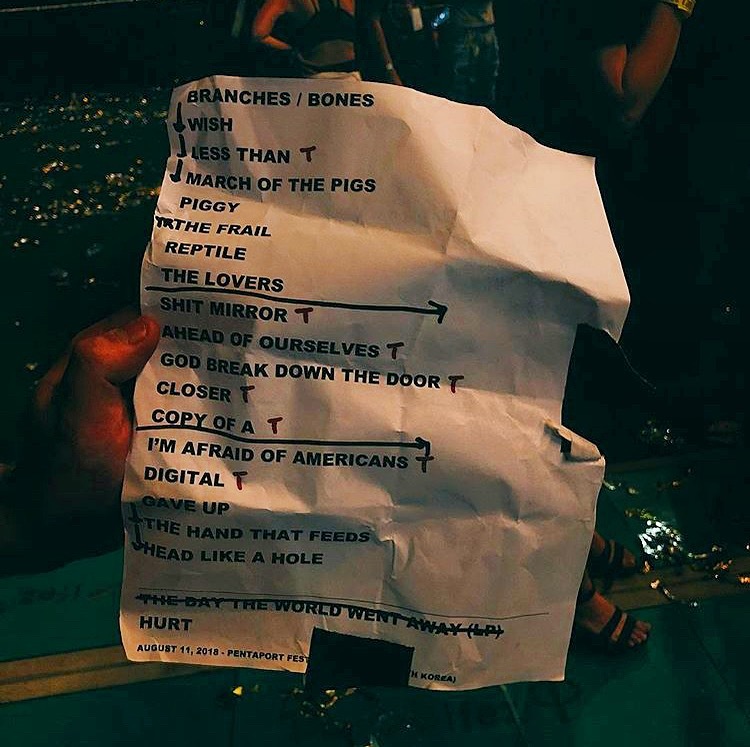 The Day The World Went Away was on the setlist (pictured above) but was not played. Probably due to time constraints.